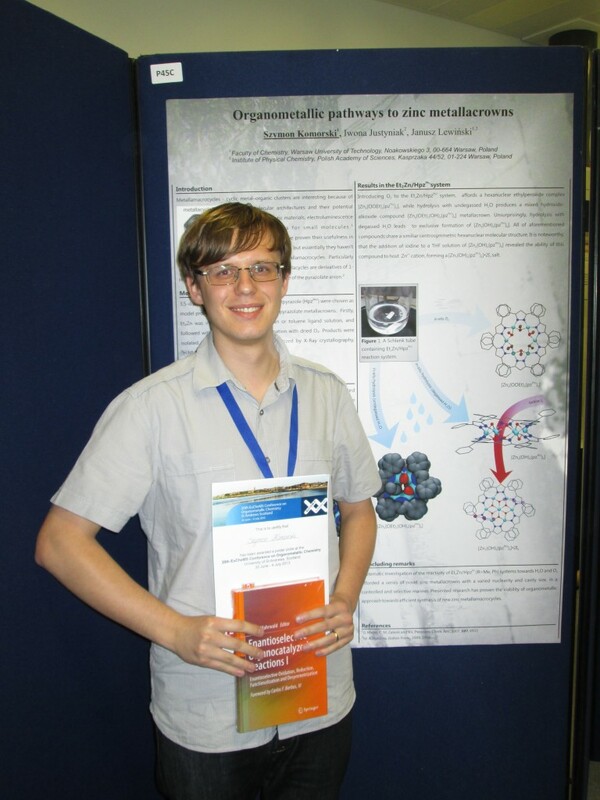 Szymon Komorski has been awarded a poster prize at the 20th EuCheMS Conference on Organometallic Chemistry, which took place in St. Andrews, Scotland. He gained the award for the poster entitled Organometallic pathways to zinc metallacrowns. EuCheMS is the most important European conference devoted to organometallic chemistry. Szymon is doing his work at the Warsaw University of Technology laboratory under financial support from project operated within the Foundation for Polish Science Team Programme co-financed by the EU “European Regional Development Fund” TEAM/2011–7/8.